Silliman University Divinity School is an institution that developed from the brainchild of Dr. Frank Laubach of the American Board Mission (Congregational) in Mindanao. In 1918, Laubach proposed to the Presbyterian Mission to put up a joint Congregationalist-Presbyterian Training School for Visayan-speaking students who want to go into church ministry. He imagined that this Training School could be attached to the Presbyterian Mission’s Silliman Institute in Dumaguete. There were difficulties encountered in the process, but these practical problems were overcome in 1920. Thus, the Silliman Bible School opened in June 1921. In its early years, the Training School offered a two-year diploma course in pastoral ministry to high school graduates. Then the Congregationalists decided to merge its training school for deaconesses based in Cagayan, Misamis Oriental with Silliman Bible School in 1931. This became an impetus for Silliman Bible School to upgrade its curriculum, and offered a four-year college degree in Bachelor of Theology and a three-year Deaconess Diploma Course. The succeeding years witnessed the gradual integration of the Bible School into Silliman Institute. In 1935, the Bible School turned into the “College of Theology” and became a crucial determinant in the transformation of the Silliman Institute into a University in that same year. In 1962, the College moved to its present location and offered a four-year Bachelor of Divinity program, and a five-year Double Major program that evolved into a six-year Combined Degree program. The College of Theology turned out its first batch graduates of Bachelor of Divinity program in 1965. 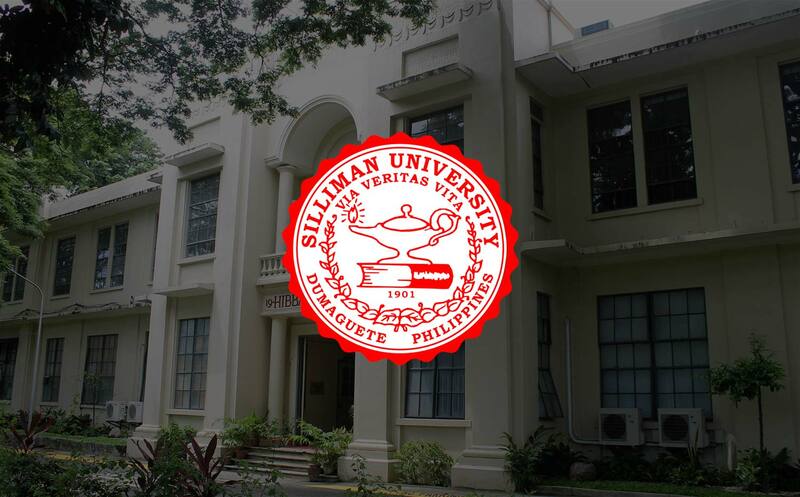 In keeping with the trend of theological schools in other parts of the world, Silliman’s College of Theology was renamed as “Silliman University Divinity School”. In 1966, the Divinity School became a participating institution in the newly established South East Asia Graduate School of Theology (SEAGST). From then on, it began to grant the degree of Master of Theology, and eventually, Doctor of Theology under the then SEAGST. In 1979, the last batch of students under the Combined Degree program graduated. During this time, the majors offered in the past years, namely, Christian Education, Religious Education and Early Childhood Education were abandoned. Only the general Pastoral Ministry program remained. In mid- 1970’s, however, the experimental Bachelor of Ministry and Master of Ministry programs were implemented in response to the clamour of the churches for shorter and less expensive degree programs. However, the result was not satisfactory. Consequently, the Divinity School retrieved the Bachelor of Theology program, and its B.D. program was upgraded into Master of Divinity program, which is the accepted among Protestant churches as the standard theological degree program. Towards the end of the 1990s, the Divinity School offered Bachelor of Theology with major in Liturgy and Music. These Divinity School’s programs are accredited by the Association of Theological Education in South East Asia (ATESEA). These programs are also recognized by the government’s Commission on Higher Education. Today, the Divinity School offers revised Bachelor of Theology and Master of Divinity (for non-B.Th. graduates) programs in response to the accreditation standards of ATESEA. The Divinity School also offers to B.Th. graduates a two-year M.Div. thesis track program with major in Biblical Studies, Theology, Pastoral Ministry, Christian Education, Spiritual Care (Clinical Pastoral Education) and Master of Arts in Peace Studies. This program seeks to respond to the needs of the church and its related institutions. In the pipeline are masters and doctoral degree programs in Development Studies, and Values and Peace Education. Also in the pipeline is the Doctor of Ministry, a professional degree, and ladderized courses for certificate programs to equip the lay people for the ministry of the church. The Divinity School has a program called Justice and Peace Center, which is an expression of its concern for justice and peace. Based on biblicotheological framework, this program conducts advocacy work for peace based on justice, and offers to partner communities trainings on fundamentals of peace and peace education, conflict management to conflict transformation, and peacebuilding. It supports the efforts of the Philippine Ecumenical Peace Platform to call for the resumption of peace talks between the Philippine government and a revolutionary group towards the attainment of genuine peace in the country.